Better to be prepared for the worst than to have to face the consequences. Most of us visit our PFDs only once, when we take them out of their plastic wrappers and stow them somewhere out of the way. We don&apos;t think we&apos;ll ever need them, unless the U.S. Coast Guard pulls alongside for an inspection. And in most cases that&apos;s correct—pleasureboats rarely sink. 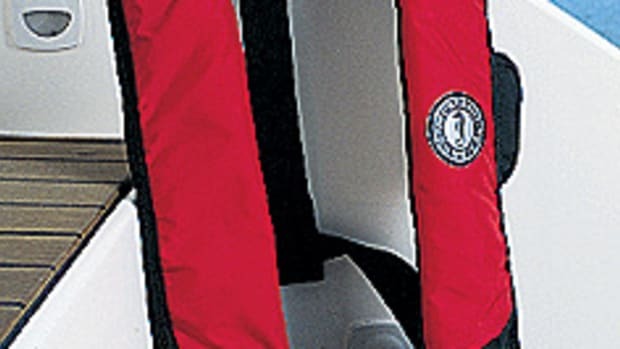 But if the seaweed does hit the fan and your boat slips under the waves, you&apos;ll be happier if your flotation gear is in tip-top condition, so maybe it&apos;s time for a PFD upgrade. Henry Marx is an expert in survival; he&apos;s been giving safety seminars for 25 years and is founder and president of Landfall Navigation, a good source of nautical safety gear, charts, and navigational instruments. Marx suggests buying inflatable PFDs, as they are comfortable and buoyant. "Keep your old PFDs to make the Coast Guard happy," he says, since inflatables are approved only when worn. "Inflate your PFDs when you buy them," Marx advises, "and leave them overnight. If they&apos;re not still hard in the morning, take them back." For powerboats Marx recommends manual-inflation models, which won&apos;t deploy prematurely if they get wet and maybe trap you below decks. Inflate, test, and repack your PFDs every year, Marx says. And all PFDs should have lights on them, fitted with fresh batteries—which means they need to be replaced at the beginning of every season. However, the best way to survive in the water is to stay out of it, which means carrying a liferaft even if your seagoing adventures don&apos;t stretch beyond the horizon. If your boat sinks from under you, you&apos;ll be safer and more comfortable in a raft, and it&apos;ll be a lot easier for rescuers to find you. A top-quality liferaft designed for the most strenuous ocean service costs $7,000 or more, but unless you&apos;re planning on rounding Cape Horn, you won&apos;t have to dig so deep. 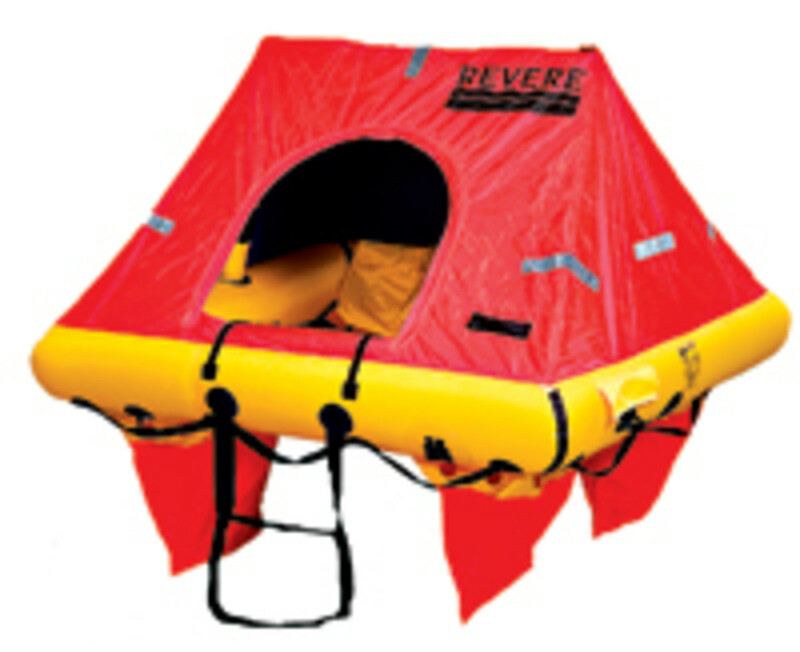 A six-person coastal raft with canopy costs about half that, and an open model designed for near-shore use costs even less. Whatever raft you buy, if you&apos;re lucky it&apos;ll be a complete waste of money. If you already own a liferaft but it hasn&apos;t been serviced in the past couple of years, it&apos;s time. 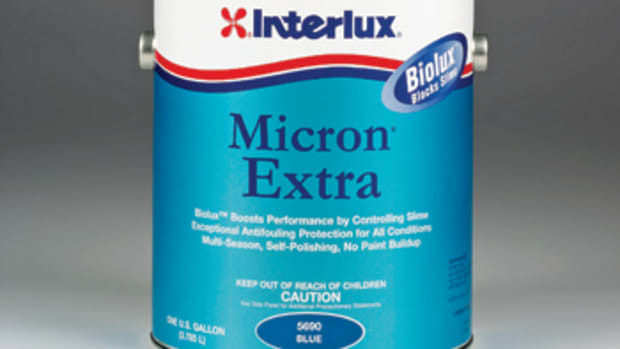 Each manufacturer sets its own service intervals—generally every three years for vacuum-packed rafts, more frequently for others. The service involves inflating the raft, recharging or rebuilding the inflation system, inspecting and replenishing the supplies packed with the raft—typically flares, a signaling mirror, repair kit, pump, flashlight, emergency food, drinking water, etc.—and repacking. Marx says you must be "religious with the repacking schedule." Many service centers will let you attend the servicing of your raft, something Marx suggests you should do: "Being there when they open your raft—your raft, not one like it at the boat show or in the showroom—being able to step into it and see what&apos;s in there, is very valuable." 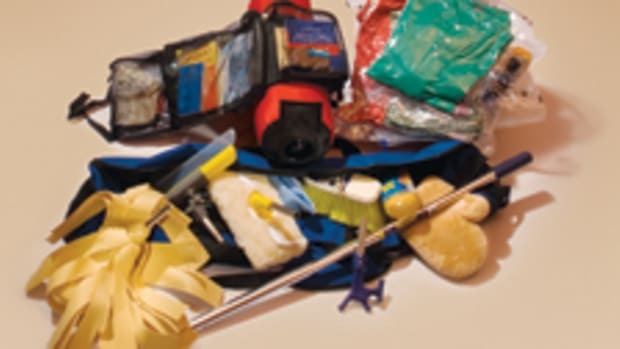 Assemble an abandon-ship or "ditch" bag, packed with things you&apos;ll need both while on the raft and after rescue. (Marx says the abandon-ship bag is almost as important as the liferaft itself.) The contents of the bag should be stocked according to a worst-case scenario and should definitely include survival essentials like water, food, and fresh batteries for flashlights and such, plus perhaps cash, credit cards, and identification. For a list of recommended bag contents, check the Landfall Web site. and if you already have an abandon-ship bag, check its contents now. "Now" is the key word. If you ever do find yourself treading water, you&apos;ll be glad you did. The Problem: You want to buy a liferaft, but there&apos;s a wide range of features to consider. Do you need a vacuum-packed model? Should you choose a canister raft or one in a valise? For advice we contacted Dan O&apos;Connor, service manager at Life Raft and Survival Equipment in Portsmouth, Rhode Island. 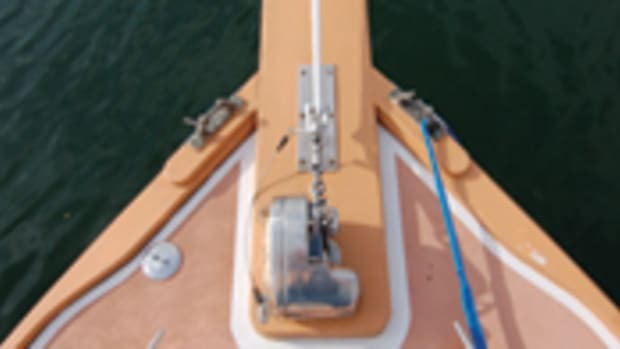 Founded in 1983 by O&apos;Connor&apos;s father, Jim, Life Raft and Survival Equipment sells emergency gear to yachts, fishing boats, and commercial vessels. The Solution: Vacuum-packed, or "hermetically sealed," rafts require less-frequent service than nonsealed models, O&apos;Connor says—every three years vs. annually for nonsealed models. Although each service of a sealed raft is more expensive—"We have to replace the vacuum bag every time," he says, "and the gear inside the raft has to last for three years, not one"—it is still less costly overall, and more convenient, to choose a vacuum-packed model. The initial cost of a raft is determined more by service area—offshore, coastal, or near-shore—and the manufacturer than by whether it&apos;s vacuum-packed or not, O&apos;Connor says. A few liferafts offer optional vacuum-packing for around $250, about half the cost of a single service fee for a six-person raft. However, how and where you stow your raft is still an important consideration. "The number-one issue is moisture inside the raft," says O&apos;Connor. "The vacuum bag is designed to keep it out, but more often than not if the vacuum seal is broken, water gets inside." The bag can be damaged by abrasion from vibration, poor stowage, or any number of things. This is less of a problem if the raft is serviced every year, O&apos;Connor says, but over three years things can rust—sometimes important things, like the activating mechanism that inflates the raft. "It can get wet, rust, and seize up," he explains, and therefore it can fail to inflate the raft when you need it. If you choose a valise-packed raft—the raft, vacuum-packed or not, comes in a water-repellent fabric bag—it must be carefully stowed in a dry area, although O&apos;Connor points out that it&apos;s rarely done that way. 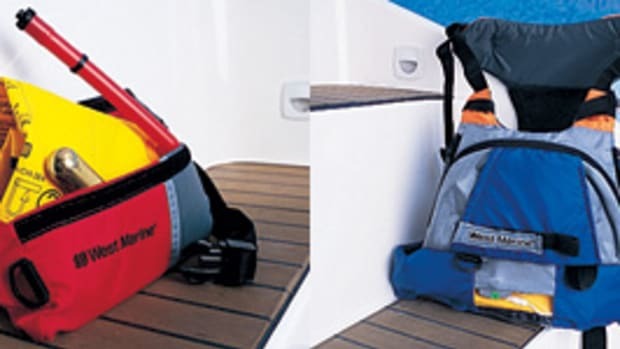 The alternative to a valise is a canister, a watertight, fiberglass case that&apos;s mounted on deck. 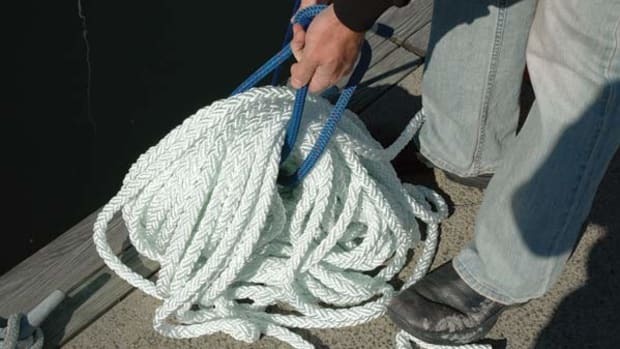 If the raft is needed, throw the whole canister overboard and pull the cord, and the raft breaks out of it as it inflates. "Canisters can be fitted with a hydrostatic release," says O&apos;Connor. As the boat sinks to between nine and 12 feet, water pressure trips the release, which lets the canister float to the surface. The sinking boat pulls the painter and inflates the raft; a weak link in the painter breaks as the boat sinks deeper and releases the raft. "But you want to have the raft inflated before the boat sinks 12 feet," O&apos;Connor advises. "It&apos;s better to step from the boat down into the raft, not climb in from the water." Finally, he says, stay with the boat as long as you can, then deploy your raft. "Most crew losses occur when people end up in the water." This article originally appeared in the February 2008 issue of Power & Motoryacht magazine.